Many people discount the power that the HR department has over a business. HR is often viewed as a problem solver – and of course, tasks like recruiting and handling internal issues do make up the majority of the HR department’s core duties. However, what makes this department really important is the influence it has over the direction of the workplace as a whole. Often times, HR is the first point of contact a new team member will have with the company. HR can set the tone for what to expect. HR is also the common denominator among departments; the marketing team and the accounting team may never need to interact, but both will contact HR for any issues. Furthermore, the HR department is expected to control and improve the company culture and make sure that the workplace is engaged and productive. So, what does this have to do with digital adoption? Well, many businesses understand that embracing new technology is necessary in today’s digitally-driven world – yet doing it successfully is challenging, as this Forbes article pointed out. Often times, the reason for this failure is due to employee training issues and improper implementation. The HR department can use its influence to not only solve these problems, but make successful digital adoption a reality. Digital adoption only occurs when a business as a whole is using technology properly and to its fullest extent. That means that the employee training process must be conducted correctly and carefully so that each member of the business knows how to implement new programs into their area of expertise. When workers have proper training that focuses on their duties and skills, they tend to be more successful over the long-term than an employee who is just thrown to the wolves and expected to figure things out along the way. In fact, a 2010 report from SHRM found a direct link between an effective onboarding system and increased employee productivity. The task of onboarding typically falls to the HR department; therefore, it is up to them to set the stage for digital adoption from the very beginning. If you are planning to make digital adoption a priority, your employees will need to receive the proper training for the technology they will be using. This is why a more personalized approach is the best option when it comes to employee training models. Each employee should receive specialized training that is related to their duties within their own department. 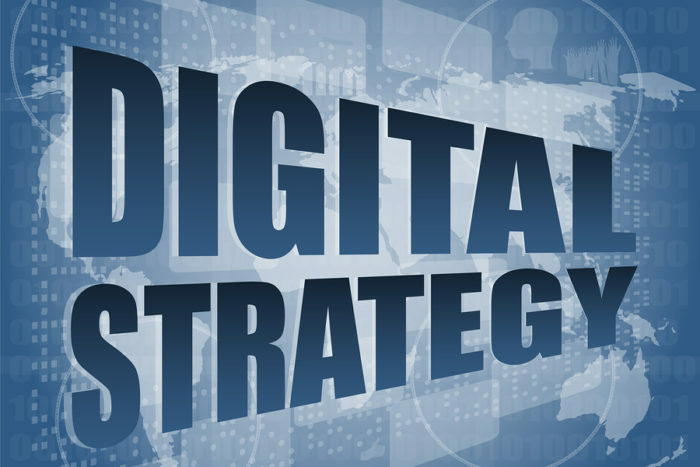 Obviously, a more digital approach is going to be ideal for several reasons. First of all, it makes personalization possible so that each employee is trained according to their responsibilities. It can also be personalized to their learning styles; some people learn better through video tutorials or reading, while others prefer a more hands-on approach. Digitally-driven onboarding programs can provide these options, and it can also keep your employees on a more regulated timeline to finish the process quickly. Digital adoption is already making huge waves in the HR department by transforming the way that new talent is discovered, qualified, and hired. HR leaders and talent acquisition teams are increasingly embracing AI and analytics to inform their sourcing and hiring. According to Jobvite’s report on automation and HR, 49% of HR teams want to make their recruiting strategies more automated and 43% agreed that it would actually make their jobs easier and better (only 7% disagreed). It is also interesting to note how recruiters want to use automation in the recruiting process, as well as how they do not. Most would like it for simple but time-consuming tasks such as interview scheduling, background checks, and candidate sourcing. 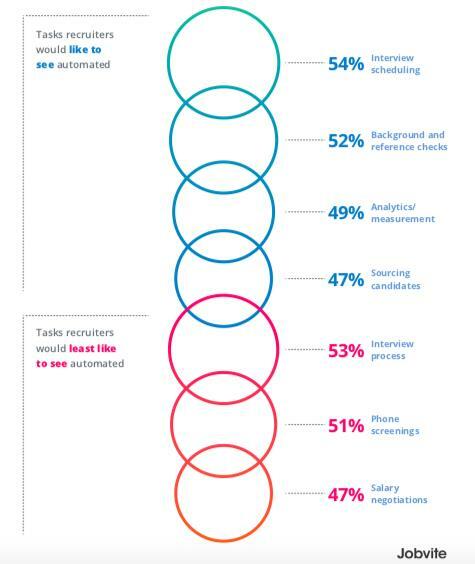 However, many want to keep the interview process and phone screenings left to the human side of HR. No matter where or how your HR team wants to use digital programs and AI assistance, the important thing is that they do it and do it well. There are clear benefits to digital adoption in talent acquisition, including shorter time-to-hire, more qualified candidates being sourced, and a more data-driven approach to decision making. HR teams can set the standard here for the company as a whole by using a digital-first approach to find talent that is also ready to embrace technology in the workplace. Another way that the HR department can urge the organization to embrace digital adoption is by setting an example for how the latest programs can create better communication systems. Obviously, the way that departments interact with each other is super important for growth and success for the company as a whole. Digital adoption means that rather than relying on things like long email chains or bouncing between different programs, everyone is on the same page and uses technology to keep the back-and-forth organized and efficient. There are plenty of communication tools available that offer live chat and filesharing, but some programs go a step beyond to make digital adoption just a little bit easier to implement. The best approach is to opt for programs that allow for integration with communication programs that teams might already be using, such as Slack and Trello. By bringing all of these systems into one place, it makes it much easier for the HR department to stay connected with other teams (and to eventually connect them together). Digital adoption means that your team is using technology to its fullest potential, so by using a tool that brings together multiple platforms into one program, it will be far easier for everyone to use it properly. It is important that your HR team prepares for the changes that lie ahead. Without a doubt, businesses need to be ready to embrace digital adoption or they will soon fall behind their competitors. Digital adoption certainly won’t (and can’t) happen overnight, but the HR team can help it along by using technology within its own department and helping others do the same.